With talk of a few jumbo southern bluefin tuna around, we headed out from Eaglehawk Neck (TAS) in our Bar Crusher on Good Friday with high expectations. Conditions were perfect – overcast with 20kt of southwest wind. Our first pass around Hippolyte Rock saw the 24kg outfit scream off. We battled this stubborn fish for 30 minutes before the line parted. We continued trolling and shortly hooked a few school bluefin tuna before another strike came from a jumbo, again on 24kg. This fish headed straight to the bottom like a freight train, breaking off 150lb leader like it was cotton! Insane power. Around 20 minutes later we hooked up another jumbo – this time on 37kg – and we finally got it all to go to plan. After a hard fight and some expert boat driving from my brother, we had the fish within gaff range. 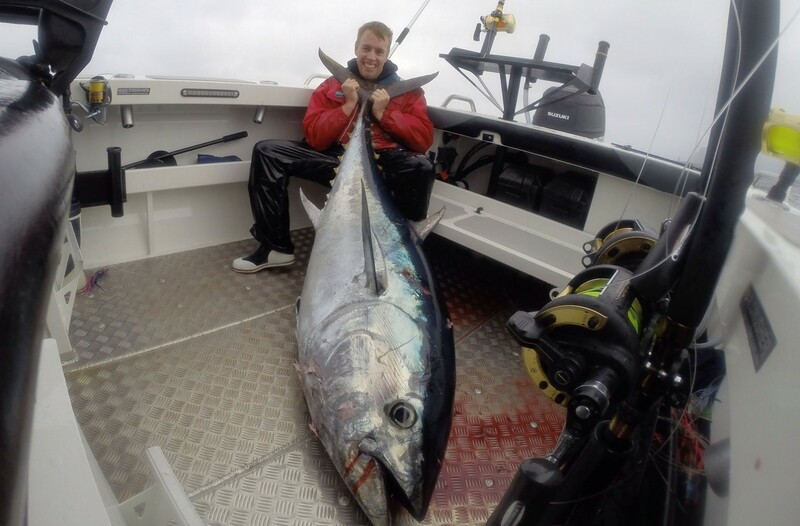 Amid a battle with the local seals and some crazy gaff work from the crew, we soon had a huge southern bluefin tuna on the deck the Bar Crusher. Woo hoo! It later tipped the scales at 102.8kg. It was one of the most intense fishing trips I’ve ever had – and landing a southern bluefin tuna over 100kg was just awesome. The Bar Crusher 610C handled the 20kt+ conditions with ease. Even with three blokes and a 100kg fish all on one side of the boat, it hardly moved. 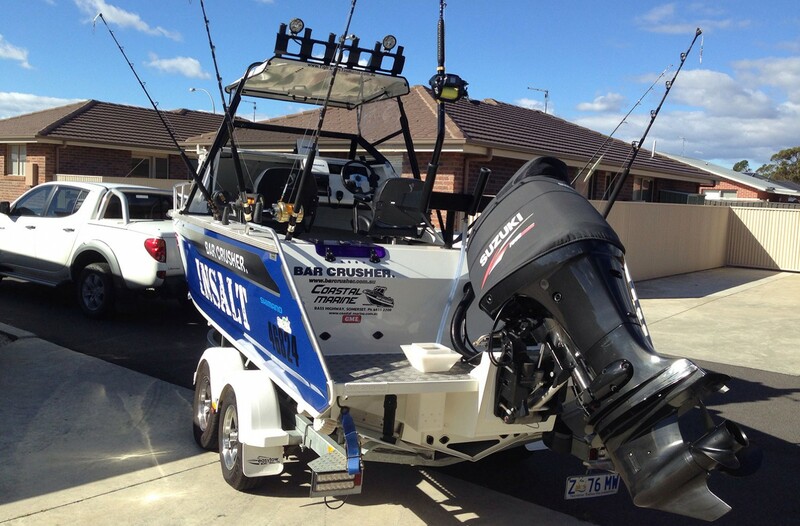 Bar Crusher boats are serious fishing machines!